Celebrate a birthday with this handmade, ceramic 11" round dinner plate. 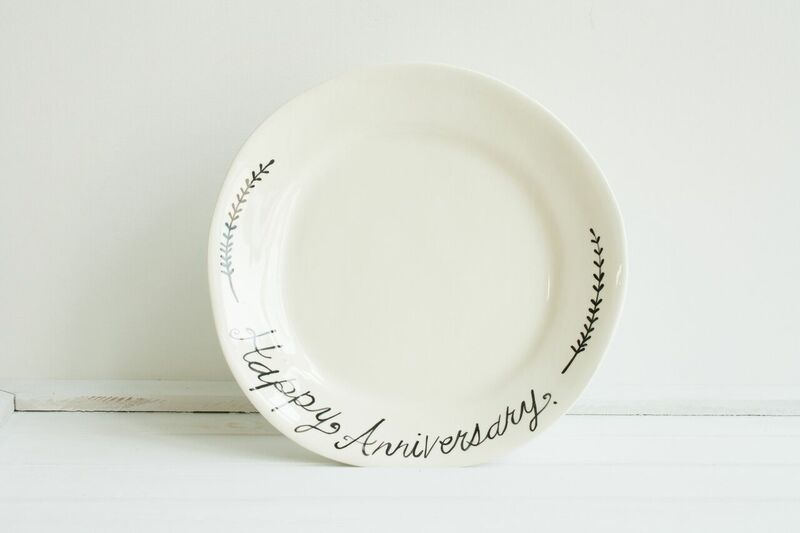 Decorated with hand painted "Happy Anniversary." Personalization is available for an extra charge. This plate turned out beautiful. It was also personalized with a family name. I gave it as a gift & my sister loved it!!! Such a special keepsake to use at birthday celebrations each year. The customer service was the best I’ve experienced through Etsy. There was a small miscommunication that was corrected immediately. I would definitely recommend this shop & would shop here again!! Thanks for the fabulous gift!